For Baptists, the Holy Scriptures have always been its binding authority for personal and church life. In response to the demands of the time, different Baptist confessions of faith were formulated throughout history. These confessions contained biblical truths that were held by individual churches. It was no different in the case of the first Baptist church in Prague. Pastor Jindřich Novotný Sr. published the Statement of Faith of the Beliefs of Baptized Christians Commonly Known as the Baptists in the year 1886, one year after the church was established. The Bible was of utmost importance for the Baptists at this time, which is testified to by the first article of the confession–Concerning the Word of God. Explicitly in the statement, we are reminded that the Holy Scriptures are “truly inspired by the Holy Spirit.” We desire to build upon the God-fearing ministry of our forefathers and deliberately, with God’s help, adhere to the fundamental truths that have led to the founding of Baptist congregations in our country. Regretfully, the fundamental truths upon which our Union was established have recently been disappearing. Over the last seven years, we have tried to draw attention to various issues which have arisen in the Baptist Union and are in contradiction to biblical teaching. We presented at numerous delegates’ meetings a number of proposals to try to deal with the issues, but they were always rejected, and the anticipated biblical discussions never took place. The key importance of the Holy Scripture as the highest authority and total sufficiency for ministry and church life has been undermined in the Baptist Union for a number of years now. Inevitably, this has led not only to the inability to take a biblical position on issues of church practice and Christian life but has also led to a blasphemous attempt to separate the authority of Scripture from the authority of Lord Jesus. Today many declare Christ as our highest authority, yet they are not able to specify how His authority is applied. We believe, just as the founders of this Union did, that Christ exercises his authority through God’s inspired, inerrant and all-sufficient Word. We are sincerely grieved by the fact that many in our Union do not hold to these beliefs anymore. 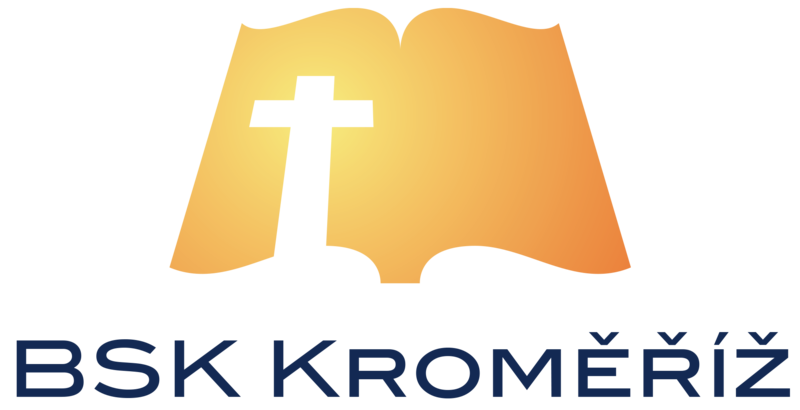 Although in the founding document of the Czech Baptist Union in the paragraph on The Mission of the Church and The Foundational Articles of Faith we find that “the Scriptures of the Old and New Testament are the doctrinal foundation and binding norm for Baptists.” Common church practice shows that this is no longer the case. Instead, the opposite is true. We are convinced that the recent development of the situation testifies that in the opinion of many, the Scriptures are not at all a binding norm, and anyone may believe it and interpret it according to their wishes. There is no appropriate system to correct new and dubious tendencies that may arise. The low view of the Holy Scripture held by the Baptist Union is also demonstrated by the fact that virtually no one would dare use the Bible at our meetings. The loss of the authority of Scripture has led to the loss of a united firm foundation that we once had as a denomination. This has, in turn, led to a number of compromises that we are no longer able to overlook. They are in a direct contradiction to the Christian faith that we strive to keep in good conscience before our Savior. The Union has severely diminished this key thesis of the reformation by actively participating in the Ecumenical Council of Churches in the Czech Republic. Ongoing membership of the Baptist Union in this organization prevents it from maintaining a clear stand demarking it from churches that do not preach, or worse, twist the biblical gospel. Collaboration with such churches and participation in joint “worship services” with their leaders demonstrates a false unity not only to them but to the secular society as a whole. Being a participating in such practices is a compromise of the known Truth at the expense of the doctrine of justification by faith alone. Another consequence of the denial of sufficiency and authority of the Scripture for our lives is the loss of true unity and deep fellowship. In His “high priestly prayer” our Lord Jesus asks his Father for the unity of his followers saying: “Sanctify them in the truth; your Word is the truth” (John 17:17). Therefore, true unity in the church is only possible if we are united in the truth of God’s Word! Because the Baptist Union is not able to come to agreement even on the most essential doctrines such as the authority of the Scripture or the gospel, therefore it naturally follows that there is no unity on other key doctrinal issues. Consequently, there is not, nor can there be, any unity among the churches of the Union. The church in Jablonec strived to make official amendments to the Constitution of the Baptist Union in order to protect the unity and purity of our doctrine in essential and clearly biblical matters. However, all such attempts were resolutely rejected. By this rejection, the Baptist Union only demonstrates that it cares more about unbiblical diversity than about biblical unity. The deviation from the authority of Holy Scripture and the light-handling of it according to twisted human preferences has led to another decline in our denomination. 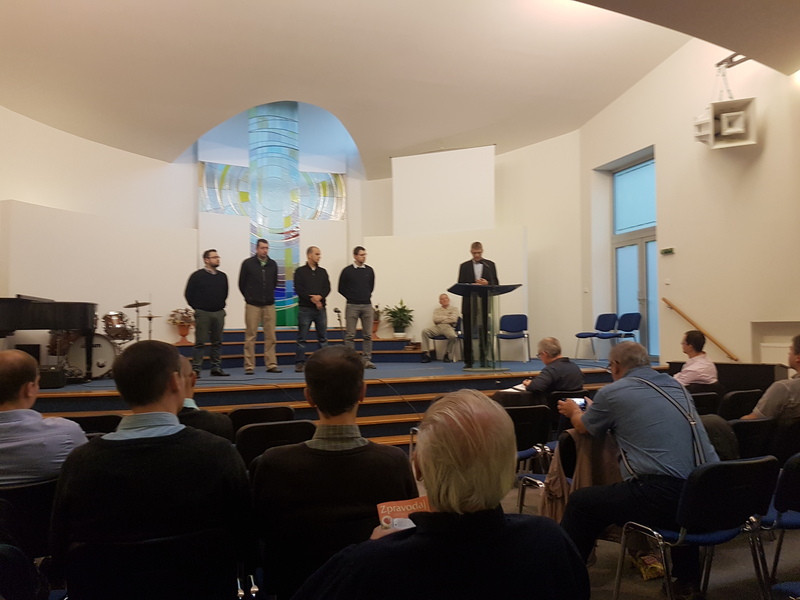 The Czech Baptist Union has officially ordained a female “pastor,” and this decision has been accepted by a vast majority of the churches. How can we stand before the Lord, who has clearly forbidden such practice in the Scripture (1 Tim 2:12)? Rather than taking seriously the words of the apostle Paul, who argued against ordaining women as pastors by referring to the order of creation, some Baptist leaders readily deny even creation itself. To their own detriment, they confirm the biblical teaching that to neglect one truth of Scripture will lead to distortions in many others. Despite clear texts of Scripture (e.g. Rom 1:26–27, 1 Cor 6:9–10), at the last delegates’ meeting in the spring of 2018, the Union was not able to make a clear stand denying the sinfulness of the practice of homosexuality. This further proved the complete downgrade of the Baptist Union. Unfortunately, it is the logical outcome of the long-term reluctance to deal with fundamental issues. All of these things, mainly the inability to discern what is and what is not sin, and a subsequent tolerance of it, including the lack of caution towards false teachers and their teaching, and an unbiblical attitude toward the pastoral office among many other things have transformed our Union as a whole into a mere confederation of lukewarm disciples (Matt 7:21; Lk 6:46). We are not cutting ourselves off from others. We remain open to cooperation with all who adhere to the authority, inspiration, and inerrancy of Scripture and consider the Word of God to be the only guide for faith and practice. We do acknowledge unity with all who live and preach that salvation is by grace alone through faith alone in Christ alone.